Spending too much time in front of a screen can cause your eyes to become fatigued. One way to reduce fatigue is to engage the eyes through exercise. After 20 minutes of work on a digital device, look at an object 20 feet away for 20 seconds. This so-called “20-20-20” rule helps relax the focusing muscles in your eyes. If you visit eye doctors for headaches while reading, you’ll learn that blinking is important as it helps lubricate and clean the eyes. When we sit in front of a computer for long periods of time, however, we don’t blink as often as usual. This can lead to dry eyes and irritation. To keep your eyes lubricated, make it a point to stop every few minutes and blink your eyes slowly 10 times. Glare coming from walls, finished surfaces and reflections on your computer or your screen can contribute to eye strain. To reduce glare, you can install an anti-glare screen for your monitor and close your windows. It also helps to invest in table lamps instead of turning on the bright overhead fluorescent lights. Undergoing an eye exam is important in the diagnosis and treatment of computer vision problems. Now is the time to schedule your appointment if you haven’t had an eye exam recently. 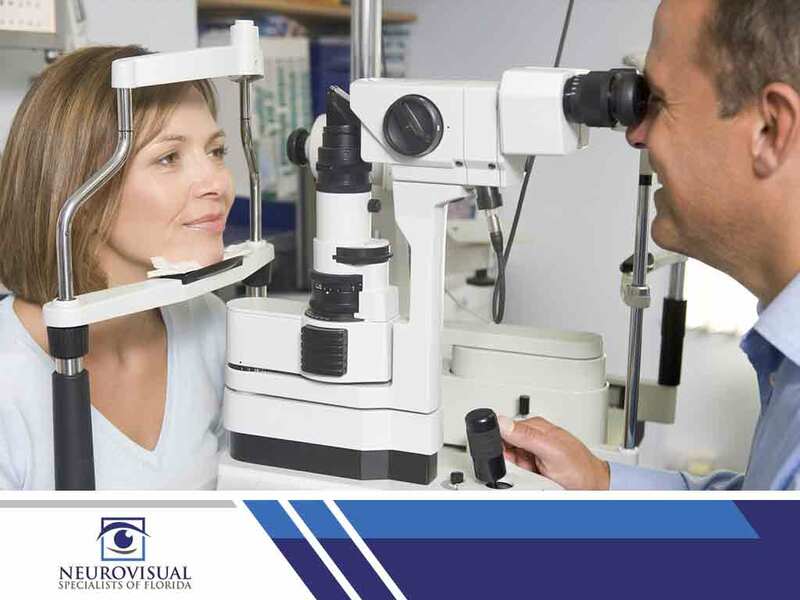 Consider the eye doctors for pain with eye movement from NeuroVisual Specialists of Florida and iSee VisionCare. Dr. Sonneberg, OD, and her team are committed to providing effective solutions for your eye problems. Call us now at (561) 733-9008 for more information. You may also fill out our contact form to schedule an appointment. We serve residents of Boynton Beach, FL, and nearby areas.